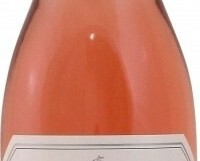 Plenty of juicy ripe raspberry and strawberry fruits, with a rounded off-dry finish and good balancing acidity. Perfect summer drinking, either as an aperitif or with salads and lightly spicy foods. With a couple of exceptions, this is the best way to drink Pinotage as far as I am concerned. There are a few producers in South Africa who have tamed this variety, but not many. I am not a fan of the Coffee/Chocolate style that was (and maybe still is) popular with many consumers. To me it tastes of oak and not wine. However, Pinotage Rosé can be very good indeed and Delheim consistently produce one of the best at a very affordable price.